Website Project: M.Shambartas via the MSLawyers.eu website is a Nicosia-based law firm supporting international clients with legal and corporate professional services in Cyprus and the European Union (EU), together with modern and dynamic local market legal services for a changing society. A fully custom-built Content Management Solution (CMS) has been integrated to the website's frontend infrastructure, allowing M.Shambartas' team to maintain the content of their legal services, law journal/news and legal publications. This then allows the MSLawyers.eu website to be both flexible during the firm's growth and development, whilst maintaining strong online presence. These web development services are complimented by an overall digital communication strategy and direction on best practices in using the CMS platform together with various online communications channels. 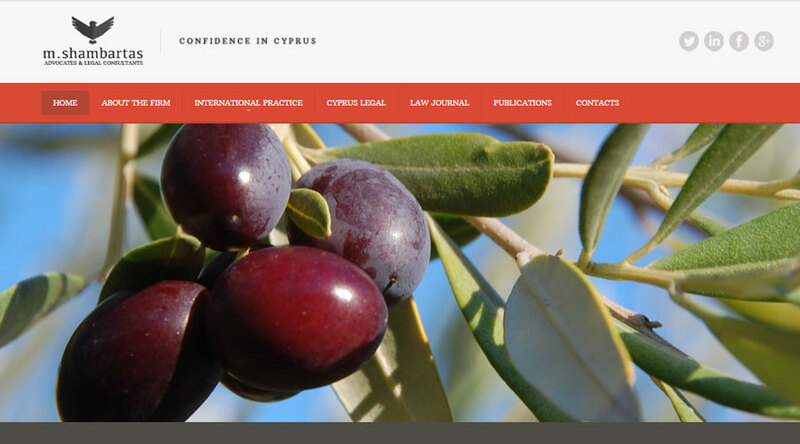 Results: producing one of the most advance, user-friendly, and attractive websites for a law firm in Cyprus to date. Backed by increasing online presence and exposure, organically via search engines, as well as third party websites and social media platforms.